Sri Lanka"s spinners squeezed and throttled and tugged down the opposition run rate in defence of a modes score, but it was the best slow bowler on show - Imran Tahir - who saw South Africa through a tense Super Over situation, and suggested that whatever his teammates are like, he is capable of keeping his cool in tough circumstances. Not choking is important for South Africa. They are in a World Cup year. They have a history of wilting in the heat of a close finish. But in conceding only five runs in the Super Over, Tahir suggested there are players in South Africa"s ranks who can thrive in tense circumstances. So too David Miller, who had earlier top-scored with 41 off 23 balls, before hitting a six and a four off Lasith Malinga"s Super Over to set the opposition a target of 15. With Tahir in South Africa"s ranks, that target always seemed unlikely for Sri Lanka. Even before the Super Over, though, this was an intriguing low-scoring thriller, during which each team had its moments, even if South Africa was ascendant for the majority. When they had restricted Sri Lanka for 134 for 7 on a slow-ish but not unplayable Newlands surface, the hosts may have expected to cruise to victory. Dhananjaya de Silva, Akila Dananjaya and Jeffrey Vandersay, however, took a wicket apiece and conceded only 81 in their 12 combined overs. But although the spinners were excellent, Malinga was the real star of the Sri Lanka bowling innings. He conceded a four off his second ball - and that only off an outside edge off Quinton de Kock"s bat, that flew to the third-man boundary. 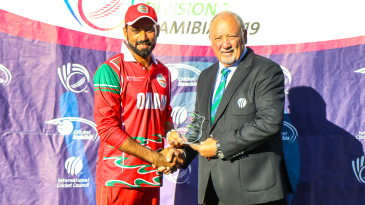 He did not allow the opposition a boundary thereafter in regular play, bowling an especially outstanding pair of death overs, in which his figures were three runs for two wickets. Thanks to Malinga, Isuru Udana still had five to defend off the last over of the innings. 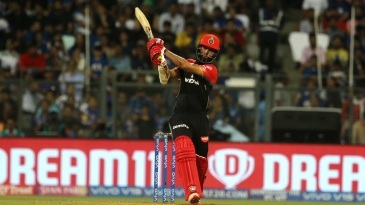 He conceded a single to JP Duminy - the last recognised batsman - first ball, then delivered two slower-ball dot-balls to Dale Steyn to make the equation four from three balls. Duminy was run out soon after, but then off the last ball of regular play, perhaps, came the key moment of the innings. South Africa had two to get, with No. 10 batsman Tahir on strike. He bottom-edged the last ball of the innings to keeper Niroshan Dickwella, who should hav easily run out non-striker Dale Steyn and won Sri Lanka the match. 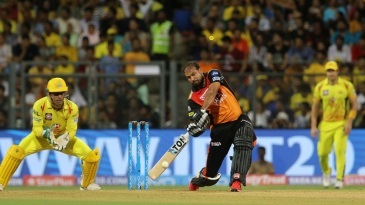 Dickwella, though, had failed to take his glove off, and his shy at the strikers" end missed - Dale Steyn comfortably out by a couple of metres had Dickwella hit at least one of the stumps. His teammates" annoyance at Dickwella"s mistake was plainly obvious in the break between regular play and the Super Over.